Six weeks after a bridge collapsed that crippled a crucial piece of the interstate system in Atlanta, Georgia officials say they'll be ready to reopen I-85 by May 15 — more than five weeks ahead of schedule. The road normally carries nearly 250,000 vehicles a day. 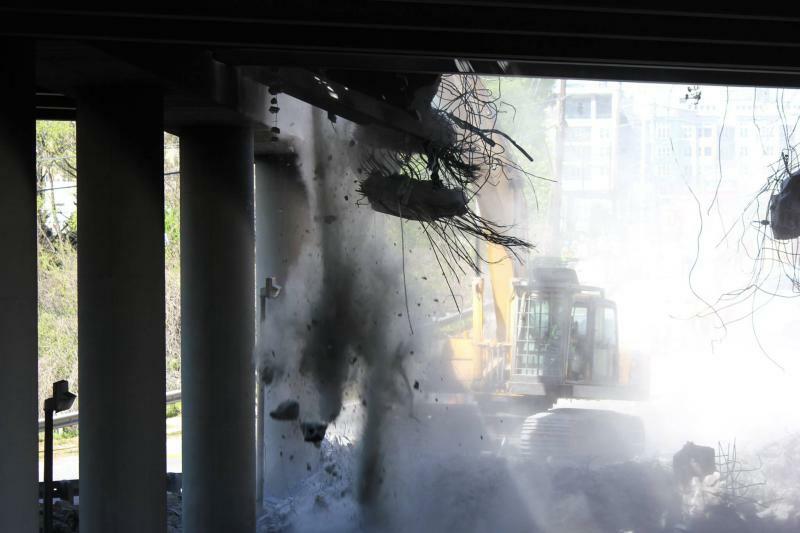 State officials have announced that rebuilding the collapsed section of Interstate 85 in Atlanta will cost up to $16.6 million. The Atlanta Journal-Constitution reports that the Georgia Department of Transportation has set a June 15 deadline for the completion of the new I-85 bridge, although no official timetable was announced. GDOT construction director Marc Mastronardi said at a news conference Tuesday that the federal government is expected to pay 90 percent of the costs. 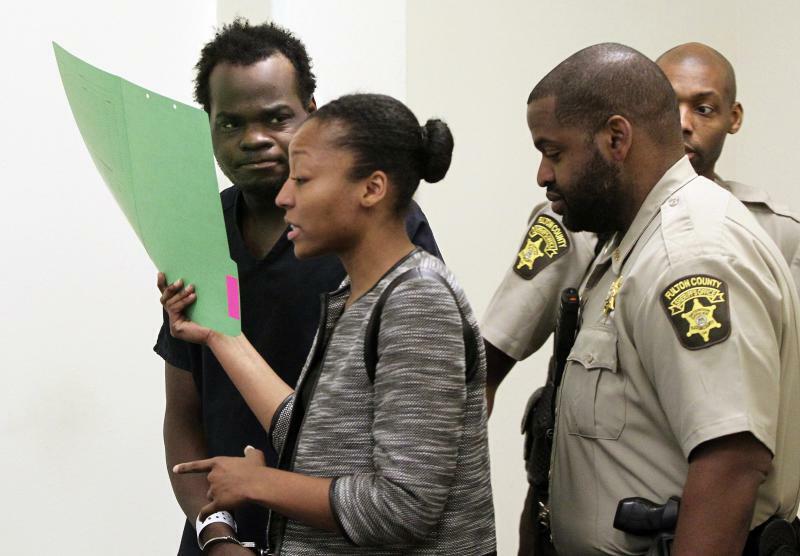 The man accused of starting a fire that caused a section of interstate in Atlanta to collapse has been released from jail after posting bond. 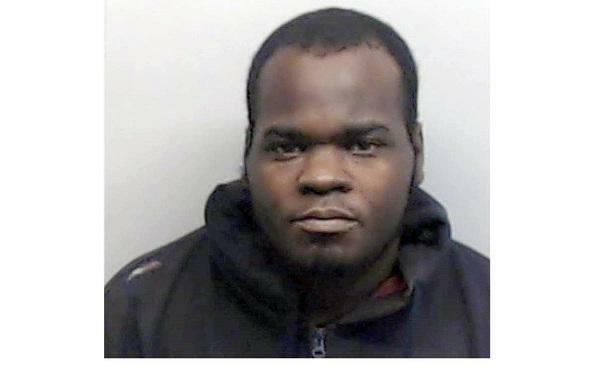 WSB-TV reports that Basil Eleby was released from Fulton County Jail on Wednesday. Eleby was issued a $10,000 signature bond by a judge during a hearing Tuesday. The judge told Eleby not to go near the collapsed overpass except with his attorneys. Eleby faces charges of arson and criminal damage to property. He was jailed March 31, the day after the collapse. 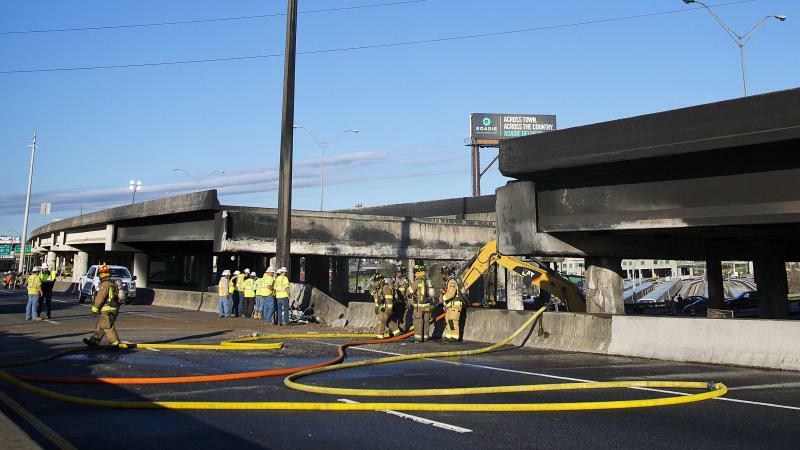 The man accused of starting a fire that caused a section of I-85 in Atlanta to collapse has pleaded not guilty. Local media report a judge ordered Basil Eleby released on a $10,000 signature bond, which means he only has to pay if he doesn't show up for court. The judge told Eleby on Tuesday not to go near the collapsed overpass except with his attorneys. Eleby faces charges of arson and criminal damage to property. He's been in jail since March 31, the day after the collapse. Five attorneys have informed the court that they will be representing the homeless man that was charged with setting a fire that led to the collapse of a portion of I-85 in Atlanta. Basil Eleby was indicted April 7 on charges of arson and criminal damage to property in the first degree. Eleby is being represented by Lawrence Zimmerman, Gerald Griggs, Mawuli Davis, Gary Spencer, and Tiffany Roberts for no charge. All of the attorneys have experience with high-profile cases. Investigators say the man accused of starting the raging fire that caused the collapse of a section of I-85 in Atlanta on March 30 could face federal charges. Bureau of Alcohol, Tobacco, Firearms and Explosives assistant special-agent-in-charge James Deir told WSB-TV on Wednesday that Basil Eleby could be charged with federal offenses after the U.S. attorney's office reviews the March 30 incident. 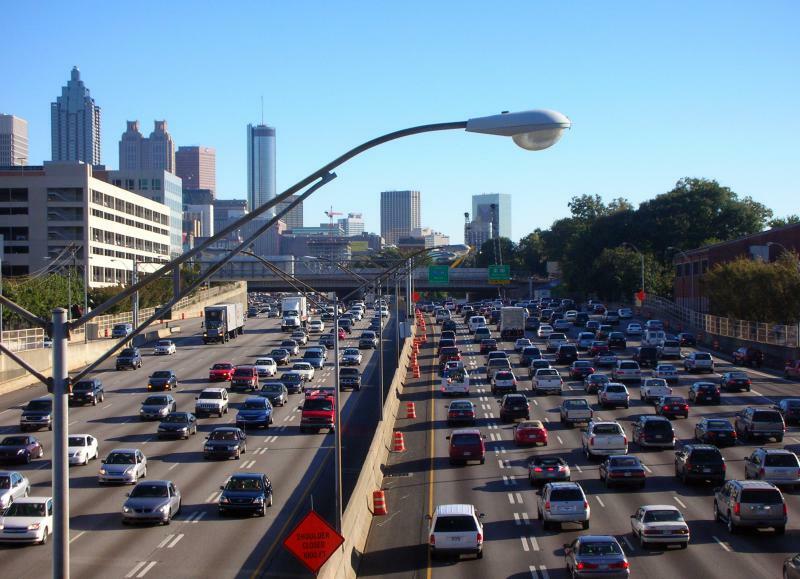 The closed section of I-85 carries more than 240,000 vehicles a day with few alternate routes. We talked with Emory University labor economist Tom Smith about the economic impact of the collapse on the state and the region. The collapse last week of a portion of I-85 in Atlanta left the city in a state of gridlock and uncertainty. At a news conference on Monday, Georgia Department of Transportation officials told reporters work to repair the bridge won’t be finished until mid-June. 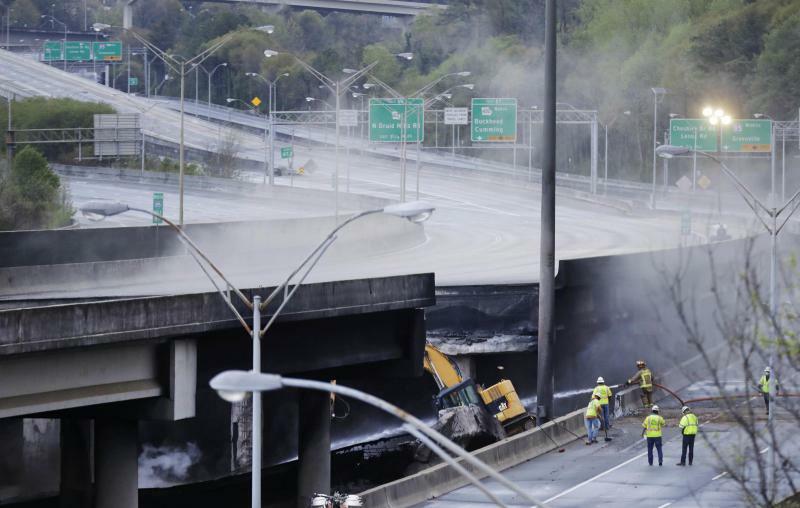 For more on the I-85 disaster, we talked with GPB news reporter Sam Whitehead. Commentary: Who's To Blame For I-85 Collapse? Three homeless people are in police custody in connection with the I-85 fire. One of them is Basil Eleby, who is charged with first-degree arson and criminal damage. He was allegedly smoking crack under I-85. In a commentary, freelance journalist George Chidi says there’s more blame to go around. 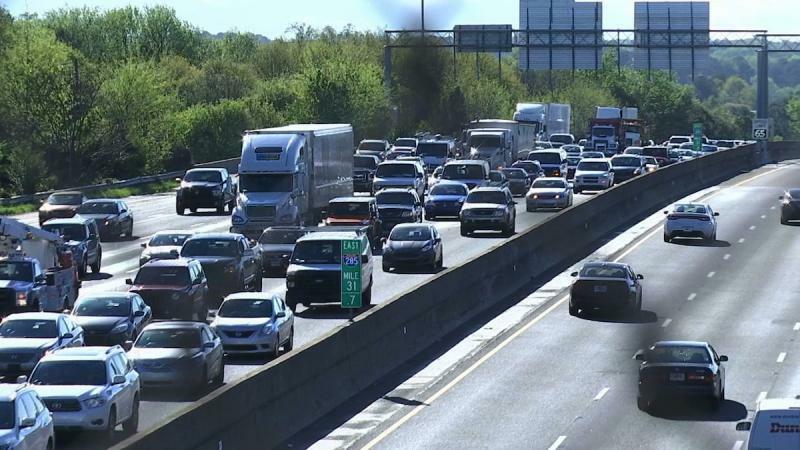 Atlanta area commuters crowded aboard mass transit trains and fewer cars hit the road Monday as public schools went on spring break, easing fears of fierce gridlock after last week's fiery collapse of a key interstate bridge. 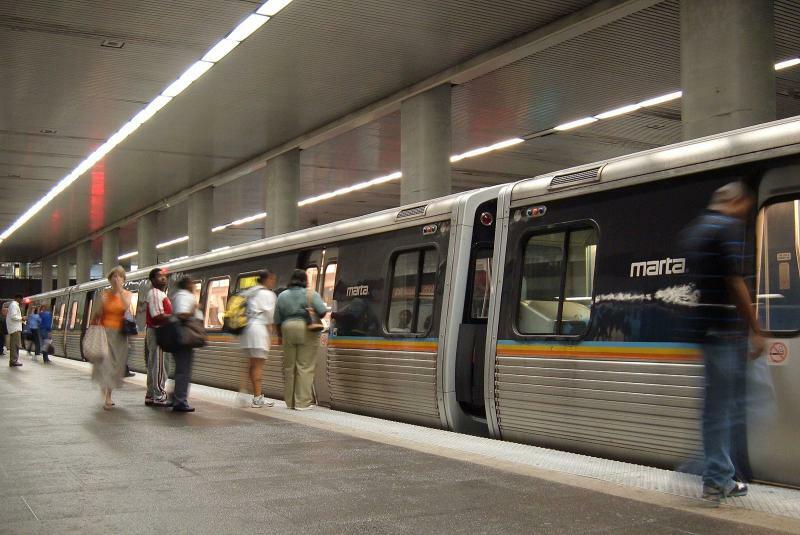 Atlanta commuters trying transit for the first time in the wake of the I-85 bridge collapse last week will get some help from a local volunteer group. Members of the MARTA Army--a grassroots transit advocacy group--will be posted around the metro area to help novice riders. What would you do to keep from sitting in traffic? 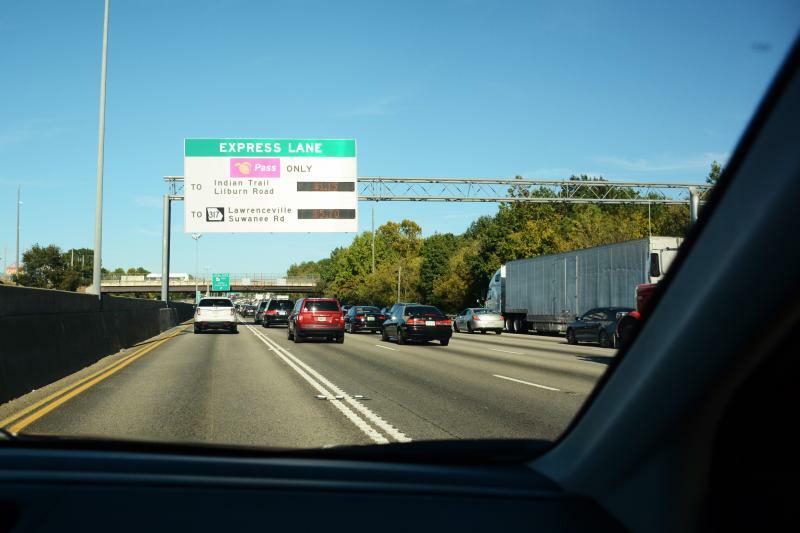 Drivers on a stretch of I-85 north of Atlanta confront that question each time they pass a set of limited access toll lanes. The idea is simple: pay the toll, and move faster. The worse the traffic, the higher the toll. 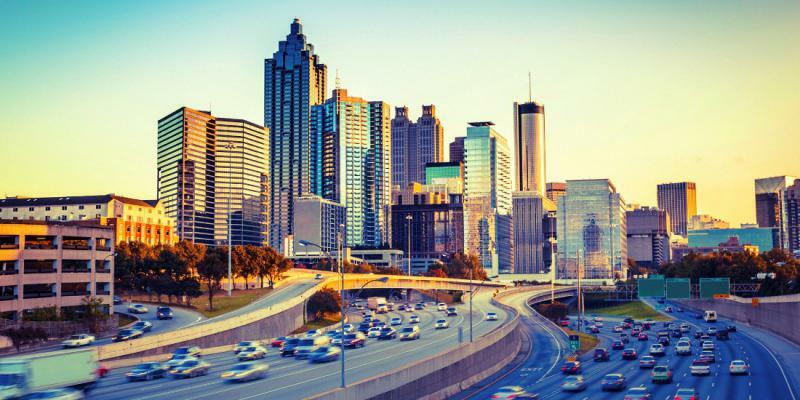 But toll prices are rising, and that's raising questions about the true costs and benefits of the system just as the state builds similar lanes around metro Atlanta.